This comic book store promo poster measures about 22 by 17 inches and was NEVER FOR SALE TO THE PUBLIC AND MADE IN VERY SMALL QUANTITIES. It's in VERY FINE/NEAR MINT CONDITION and WAS NEVER DISPLAYED. 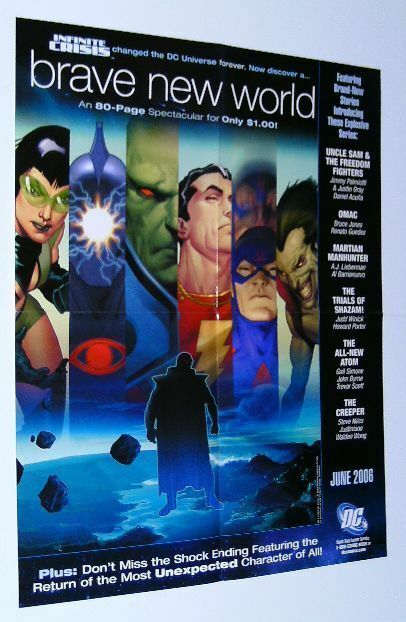 This promotional poster is folded, because nearly all promo posters are distributed to comic shop dealers folded, which is normal.